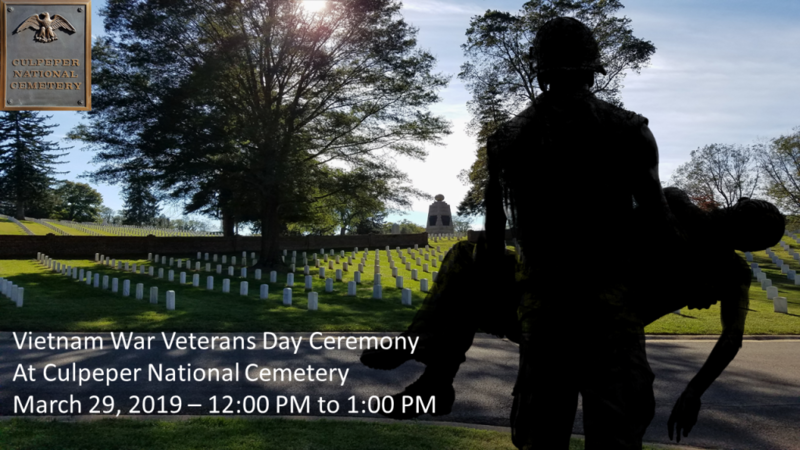 Culpeper National Cemetery has announced they will hold a special Vietnam War Veterans Day Ceremony on March 29, 2019 at 12:00 PM. Vietnam Era Veterans are those who served from February 28, 1961 to May 7, 1975. We encourage all Veterans, those currently serving in our military, our community, family and friends to join us on March 29th for this remembrance ceremony.